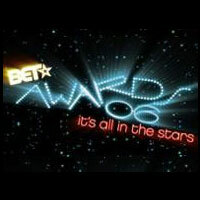 It is time for this year's BET Awards. They are scheduled for this Tuesday, 27th of June. I'm pulling for Ne-Yo. So Sick. What is up with their ads for this year's show? Come on. Couldn't we be a little more clever than that? Seeing the commercial on television last week took me back to 1987 and my campaign for student council present of my elementary school. My campaign slogan as an 11 year-old candidate was: It's in the stars: Timothy for President! As clever as I was, on my poster, I spelled my name using metallic star stickers. Did I win? No! I was beaten by Bryan Butts. A big BOO! goes out to BET for choosing such a lame slogan for this year's awards. It sure does not make we want to tune in on Tuesday. Instead it makes me want to pull out old year books and reflect on 1987.
still haven't gotten anyone to work for me during the weekend in question. grrrr! Tim Tim, I think you should run for president of the United States! Seriously! Just do it! And I think you should stick with the same campaign slogan. It may not have worked for you back then, but it sounds like a winner now! How could a 6th grader not vote for somebody named Butts? It just gave them a reason to be able to chant it.